"Made In China" labels have gained a less than glamorous reputation, but one designer is out to change that. 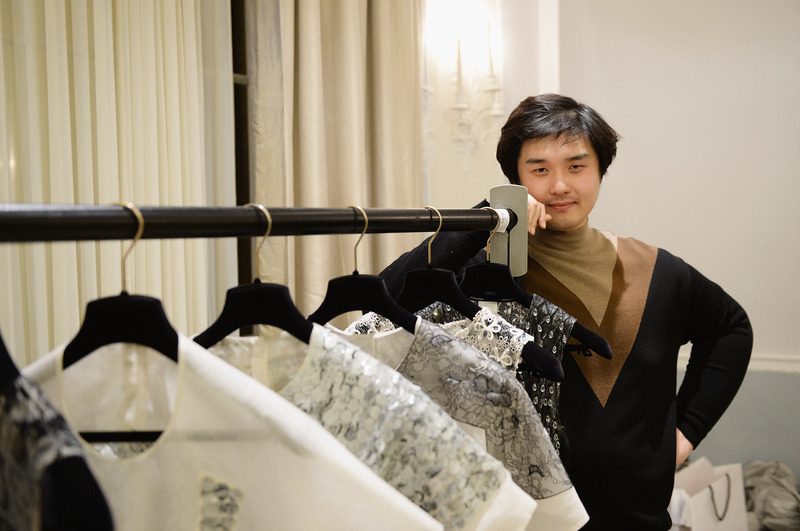 Celebrating his home country's rich artistic capabilities by creating luxurious couture clothing, Chinese designer Huishan Zhang is one you'll want to keep a close eye on, according to Fashionista. His ability to balance couture with real world wearability is unbeatable. Zhang's hope for the brand are ambitious. He shared, "I am trying to ... show that [China] is a rich source of high quality raw materials, craftsmanship and artistic expression. I mean, who does silk better than China? ... I figure someone needs to tie China's reputation to luxury again; may as well be me." Given that, quite early in his career, Zhang is "one of the only Chinese-born designers to be picked up by Barneys in their entire 92-year history," he's clearly capable of reaching his goals and then some. The young designer has already had extensive couture experience. He spent a year training under Dior, created a five-piece collection for Barneys, and has won over celebs like Gwyneth Paltrow and Keira Knightley. As soon as you catch a glimpse of his collection, it's easy to understand why Zhang is becoming so popular. Every piece shows immense attention to detail, and truly are wearable pieces of art. I mean, look at the bow on this cardigan. It's like he's captured the soul of a cloud. And who doesn't want to wear a cloud soul? And do these dresses scream cocktail couture goddess or what? Oh, and don't mind me just swooning over this dreamy emperor-worthy embroidery work. If you haven't already bookmarked or pinned Huishan Zhang, do it now!